Swedish doom legends Candlemass are back with a new album, The Door To Doom, their first full-length in nearly seven years. They also have a different vocalist. 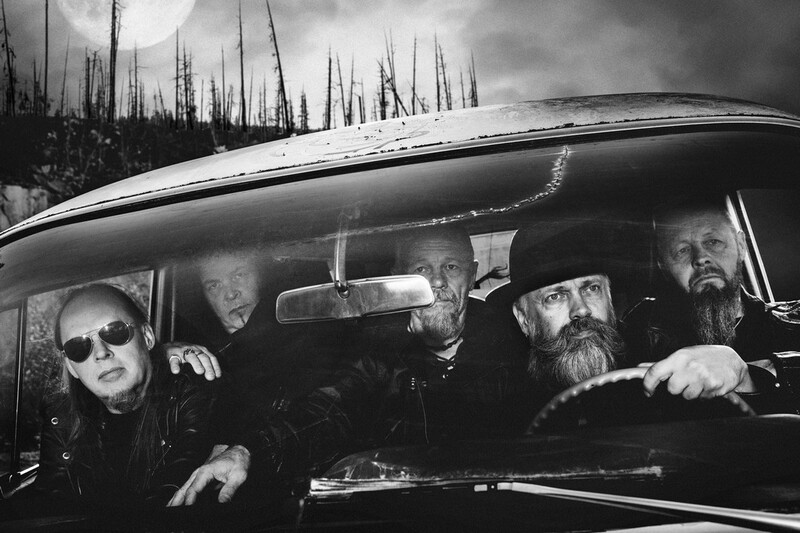 Johan Langkvist, who sang on their seminal 1986 debut Epicus Doomicus Metallicus, has returned after a more than three decade absence. Leif Edling, the band’s bassist and songwriter, fills us in on Langkvist’s return, the new album, the guest appearance by Black Sabbath’s Tony Iommi, touring and other topics. Chad Bowar: What led to Johan’s return after all these years? Leif Edling: Even if Mats Leven had done a great job during the previous years, we felt that something was missing in the band. After many discussions we knew that it would be the right decision to ask Johan back. Return to the origin of Candlemass, so to speak. The basics of it all. We are very happy that Johan wanted to join us again after about 32 years away. Was there anything unique about the songwriting process for The Door To Doom compared to the usual Candlemass album? Yes, I was (and still am) burned out so we could’t rehearse at all. Normally we rehearse and prepare like crazy before an album, but this time I couldn’t do it. Instead I went to the studio a couple of times a week and demoed the material. Maybe not the ideal way (for us anyway), but everybody got demos of the songs to listen to and learn. Worked just fine, actually. Next time though, I hope I am in better shape before an album. I have several strong memories of the recording. Mainly good ones! It was great to search for guitar sounds with Marcus Jidell (the producer). We tried different amps, pedals, tweaked the sound during the time of the recording. Also absolutely brilliant to see Michael Blair do his percussion on “Black Triniy” and “Under the Ocean.” He’s very good at what he does. How did Tony Iommi’s guest appearance come about, and what did it add to the album? I had an idea about asking him. Why not, y’know? You can’t get more than a “no.” And I really believe in reaching for the stars. It just might come true, and it did! Our manager sent an email to his personal manager, and a couple of weeks later we had an answer back that he’ll do it. Simple as that! But I think he liked the song, otherwise he wouldn’t have said yes. But he did and I’m still in seventh heaven! Your European tour is underway. Any plans for a North American run this album cycle? Yes, we got a couple of requests for shows in the U.S. One longer tour and a shorter one for about 10 gigs from west to east. Probably in the fall sometime. Was there any hesitation in agreeing to open for Ghost, who haven’t been around nearly as long as Candlemass? Nope, we said yes instantly. We’re big fans of Ghost so we had no hesitation at all. They’re a brilliant band who deserves every bit of success they get. I also think, well KNOW (we’ve done some gigs with them now) that our music appeals to the fans of Ghost and the other way around. Good match musicwise and also on the personal side. Good guys and great crew. With Johan back in the band, does that change your setlist? A little bit. Right now anyway. We have more songs from Epicus in the set than normal (laughs). We will also play some Epicus shows in the spring, but after that it will be a bigger focus on the new record. I’m so looking forward to playing some of the new stuff live. “Black Trinity” for example. Any plans to do any shows or a tour where Epicus Doomicus Metallicus is played in its entirety? Yeah, the Keep It True Festival in Germany and also the Silja Rock Boat event over here. We’ll add a couple of the classics as well. Australia. Would be great to go there! We do have a request for a tour, so I’m sure that dream will come true as well soon! Are there plans for another The Doomsday Kingdom album? Yeah, as soon as the Candlemass adventure is over, or at least is on hold in about a year (or two). I really love that album and the guys who I did it with. Would be awesome with another TDK album and more live shows. Just opened up a parcel from Japan with some old Styx Japanese pressings, the UFO Live album and Led Zeppelin IV. I’m blasting the latter one now actually.